The Veterans' Services Division provides support to residents of Worcester who are veterans, currently serving members of the military and their families. Support services vary based on individual circumstances but may include financial aid, reimbursement of medical costs and referral services for a variety of issues such as housing, employment and education. In conjunction with the Massachusetts Department of Veterans’ Services, the City of Worcester takes applications and disperses veterans’ benefits (also known as “Chapter 115 Benefits”) enacted through Chapter 115 of the Massachusetts General Law. Once benefits are established or if found ineligible, the Veterans’ Services Division assists clients in finding more permanent solutions to meet their needs by referring clients to a variety of social service agencies and programs such as Workforce Central, the U.S. Department of Veteran Affairs, and the Worcester Housing Authority. Additionally, the staff serves as liaison to the Worcester Veterans' Council and the City Council’s Subcommittee for Veteran and Military Affairs. The City, through Veterans' Services, also sponsors the Veterans' Day and Memorial Day parades. The Veterans’ Services Division and their community partners serve as caretakers of all veterans' memorials and graves. Housing allowances for everyday living expenses such as food, rent, heat, etc. Payments for medical expenses such as prescriptions, visits to a doctor, dentists or hospital, eyeglasses and existing hospital insurance. 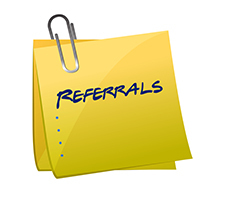 Additional referrals to other sources of possible income such as the United States Social Security Administration and the Department of Veterans Affairs. The Department of Veterans' Services has been providing services and benefits to veterans since 1861. From the date of that commitment the Commonwealth of Massachusetts insured that no individual who served his or her state and nation with honor during periods of war or other conflicts, would ever be "pauperized" or forced to turn to public welfare for assistance. The Massachusetts Executive Office and the Massachusetts House and Senate have shown their concern for the welfare of the veteran and his or her dependents. This support has proven to be one of the most comprehensive programs in the country. These services are provided through the Massachusetts Department of Veterans' Services and the local Veterans' Services Office. 1888 - The Soldiers' Relief Law was enacted, which gave cities and towns the right to support honorably discharged veterans, their spouses, widows and minor children. 1945 - The Office of Commissioner of Veterans' Services was created. 1946 - Chapter 115 (Veterans' Services) of the Massachusetts General Laws was reorganized to form the basis of today's benefits and services program. 1946 - Chapter 599 Acts of 1946 mandated "municipal and district Departments of Veterans' Services". Veterans' Agents and Directors of Veterans' Services have become the first individuals that the veteran will turn to for assistance. The City of Worcester Veterans' Services is committed to continuing to assist our veterans, and their dependents, with high quality, caring, compassionate, effective and efficient professional service. The Veterans’ Services Division assists clients in finding more permanent solutions to meet their needs by referring clients to a variety of social service agencies and programs.